Yes, it’s true. 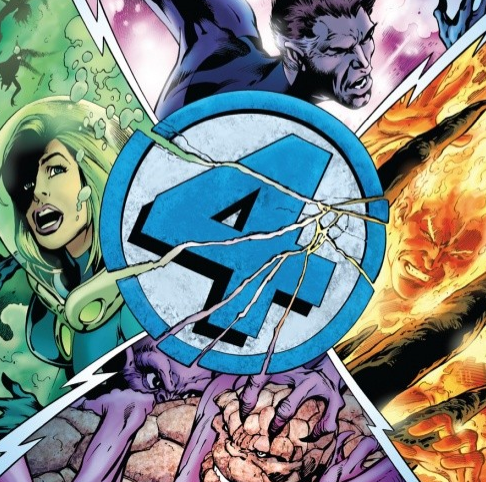 A founding member of Marvel’s first family, the Fantastic Four has died. Can I get a moment of silence? I spent the day avoiding the internet, news, and radio in the hopes of finding out which member of the Fantastic Four died in the comic book, instead of being spoiled. There was a close call when Nick was streaming CNN in another room with the door open, but thankfully I missed the anchor’s pronouncement. Jonathan Hickman’s run on the series has been legendary, to say the least. He has accomplished more in his world building arcs on the series – the introduction of the 4 other tribes of Inhumans, the build up of the 4 cities of Attilan, Atlantis, the Negative Zone, and the High Evolutionary, the inclusion of Valeria and Franklin’s classmates in the Future Foundation, and so so so so sooooo much more. Hickman has transformed me from a longtime X-Men and Avengers fan, into practically a member of Marvel’s first family. Which is good, because one of the four totally bit it today. I won’t spoil you on who exactly, but there is a fantastic great interview with Hickman over at Marvel.com. You can read his eulogy and thoughts on killing off a pop culture icon HERE. I’ll admit I was surprised. I was positive it was going to be someone else. All of the signs were there all along, weren’t they? Still, I’m satisfied with the result, and looking forward to reading the final issue next month, and then the newly relaunched and aptly titled, 3. If there are any fans in our herd, tell me what you thought below. But let’s keep it spoiler free for a week or so. You’ll be missed, Fantastic Friend!